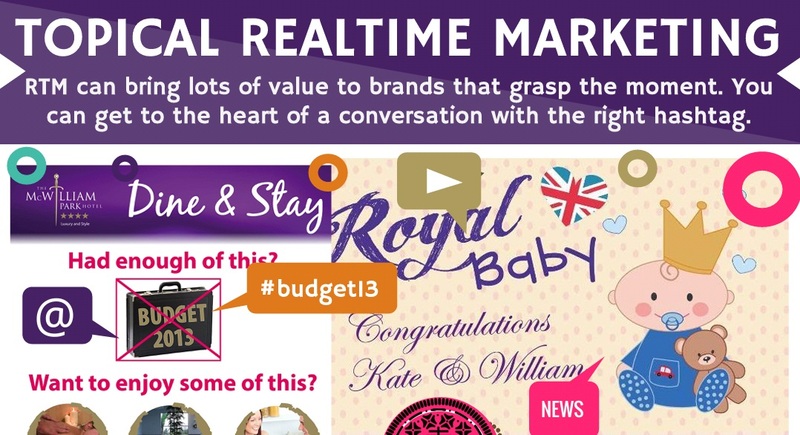 RTM can bring lots of value to brands that grasp the moment. You can get to the heart of a conversation with the right hashtag. Here are some tips The McWilliam Park Hotel have found to be successful.